The largest ever cruise ship to be built for Carnival Cruise Line will be named as Mardi Gras. The announcement came out on the Wheel of Fortune TV show in the United States. The cruise line is going back to its roots by using the same name as the very first Carnival cruise ship in 1972. The largest ever Carnival cruise ships will use the name when she comes into service in 2020. 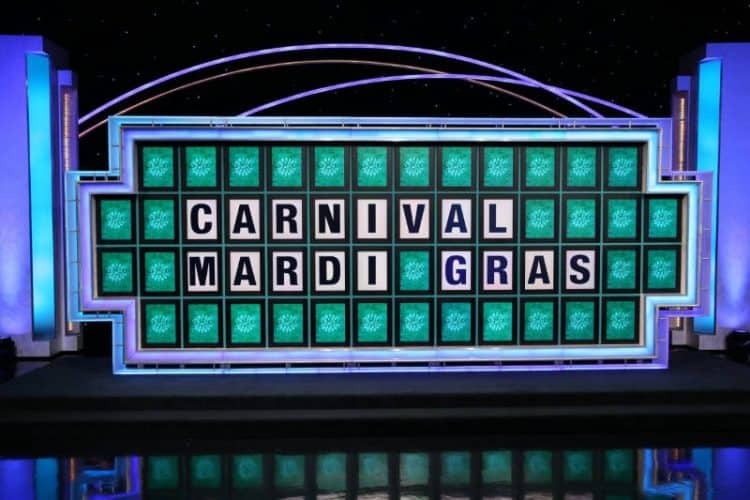 The name was revealed on the popular TV game show Wheel of Fortune. It was displayed during the conclusion of the show on the iconic Puzzleboard nationwide. The huge mega ship which will be the first in her class for the Miami-based cruise line will be more than six times the size of the original 27,000 gross ton Mardi Gras cruise ship which began a new era of fun cruising to the industry. The future Carnival ship is currently under construction at the Meyer Turku shipyard in Finland and will be the cruise line’s first fully powered Liquefied Natural Gas (LNG) vessel. the ship will have a guest capacity of 5,200 at lower birth and a huge 180,000 gross tons making one of the top ten largest cruise ships in the world and the biggest ever constructed for Carnival Cruise Line. Carnival has already revealed the first renderings of the ship showing off the new livery with the popular colors of the cruise line. Mardi Gras will be based out of Port Canaveral, Florida sailing Caribbean cruises. There is a lot more to be announced about the ship with construction updates and new features that will be onboard. 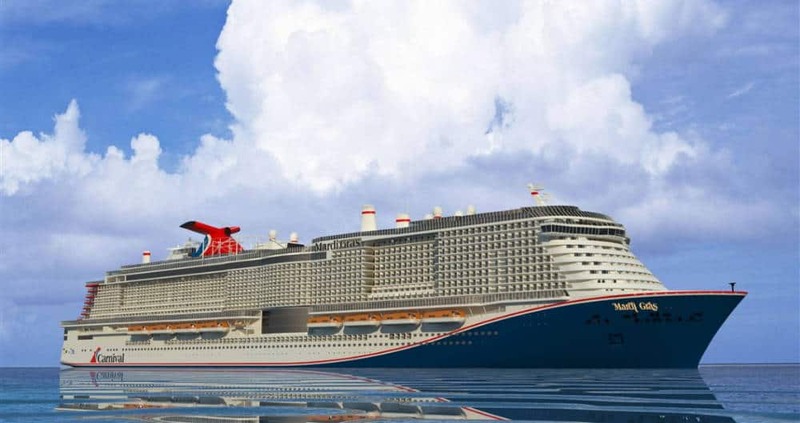 Construction will also start on a second XL sister ship in 2020 and she will be delivered in 2022, the 50th Anniversary of the founding of Carnival Cruise Line.